Niches may be small by definition but they are big in terms of business. Today, you can have almost any form of car conceivable. Want the practicality of a station wagon but hate the styling? The Shooting/Sportbrake is for you. Drive almost entirely in the city but want a commanding driving position? You can have a compact SUV that may be useless off road but meets your city driving needs perfectly. Manufacturers even offer practical four door coupes and rear wheel drive hatchbacks. The list goes on but what's important to note is that niches have very real appeal. The 3 Series GT or Gran Turismo fits in one of those appealing niches. The GT is essentially a car for someone who wants more than the just-about-adequate interior room of a standard 3 Series but doesn't like the utilitarian looks of a 3 Series Touring wagon. Now we've already driven the 3 GT in Spain and you can read about the car in detail here. But that drive was overseas and won't convey how the car will feel when faced with our driving conditions. Good thing then that the car is now officially available here so we can find out how the concept will work for our market. The 3 GT sits on a lengthened 3 Series sedan platform and behind the significantly different lines is a car that weighs 145kg more. Power comes from the familiar 2.0-litre turbo diesel which pumps out 184PS at 4000rpm and 380Nm between 1750 and 2750rpm. In our test the 3GT managed an 8.5s run to 100kmph which is just 0.4s slower than the sedan. It returned 20.3kmpl on the highway and we managed to get 14.8kmpl in the city. That gives an overall figure of 16.1kmpl which is nearly identical to the sedan. So the grand tourer matches the sedan both in terms of pace and efficiency. However what turns out to be a pleasant surprise is the ride quality. The GT has a very well balanced compromise between ride and handling. At low speeds the GT displays a suppler ride than the sedan. 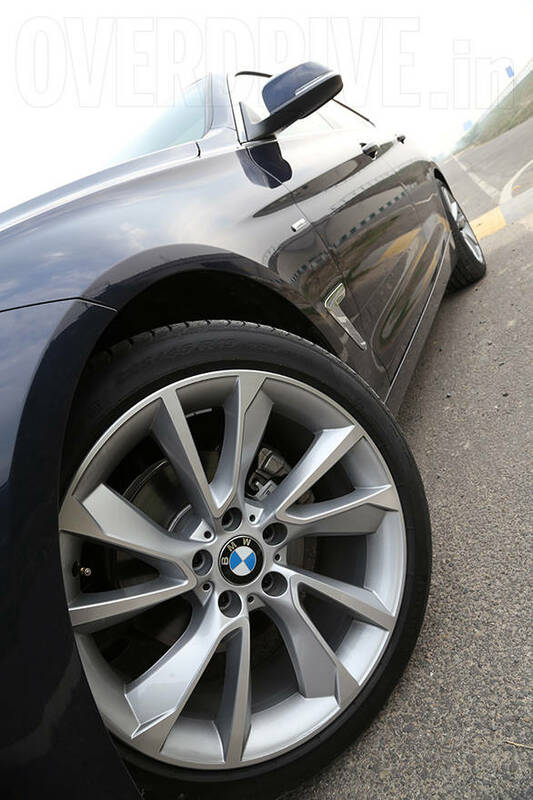 It soaks in bumps better and only shows a bit of sharpness when you encounter a particularly nasty pothole. 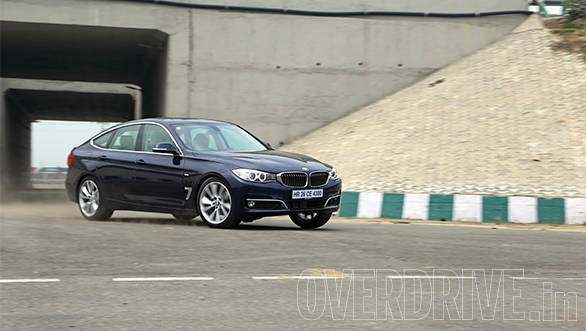 Pleasantly even the high speed ride and composure seems more mature, not just over the 3 Series but even the 5 Series. This despite running on optional (and handsome) 19-inch wheels. The stock 18 inchers will only improve the ride further. The GT is considerably taller than the sedan and as a result there is some body roll through the corners. On the upside you sit higher up and have better visibility which makes it easier to drive in traffic despite the larger dimensions. Nevertheless the car remains composed and grips very well. The best way to describe it is that it still drives like a BMW but a slightly soft one. The electronically assisted steering is precise and sharp and weighs up nicely in Sport mode. However, even in Comfort and Eco Pro mode it still feels heavier than the competition. Just another small reminder that you are driving a BMW. However what is going to be the biggest selling point of the 3 GT is the sheer space it offers on the inside. The extra 110mm in the wheelbase liberates plenty of room. So much so, that this car offers more rear knee room than even a 5 Series sedan. There's also plenty of headroom despite the swooping roofline thanks to some clever recesses in the roof liner. The 3 GT has one of the most spacious rear benches at this price point and that's a good thing considering most buyers will be chauffeur driven. The boot is huge too and offers 520 litres of space. At Rs 42.75 lakh ex-Delhi the 3 GT does not come cheap. 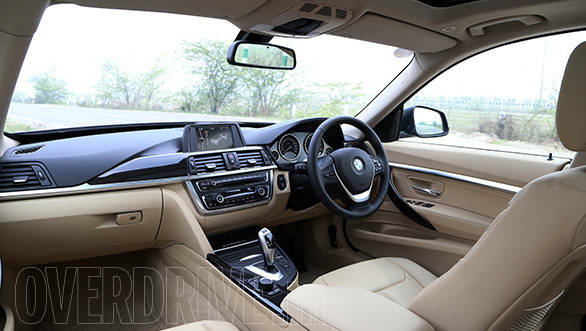 It's about Rs 6 lakh more than the top-end diesel 3 Series and just Rs 2 lakh less than the entry level 520d that comes with the same drivetrain. But what your extra money buys you is a very spacious luxury car that is more comfortable than its siblings while offering similar levels of efficiency and driver involvement. It also looks pretty good in the flesh, most certainly better than it does in pictures. BMW has given the 3 GT more features than you can get at this price point like frameless doors, electronic bootlid operation and a huge sunroof. The only thing that might hold the 3 GT back in India is the strong grasp that ego holds over our buying decisions. After all it's easy to consider that for a little more money you could get a car that has a bigger number on the badge. However while the 3 GT might be positioned between the 3 and 5 Series it might just be the most intelligent buy of the lot.